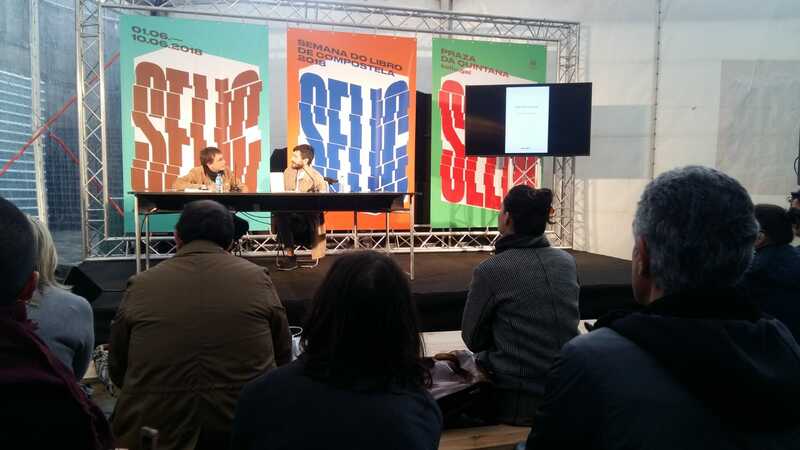 I have presented my book “Teoria da imagem” at SELIC (Santiago de Compostela Book Week) 2018. The book have been published by Axouxere Editora. The image is not something you can thing at all, rather well, is something which lets you think, like a ground or a new territory of thinking. Continuing the lines opened by Deleuze and Tiqqun, together with an innovative revision of Plato, this essay observes the place that the image occupies in the constitution of the human and the possible derivations that, above all, are born politically. The image is something we obligatorily meet in our contemporary societies and, trying to overcome situationist critics, we should find its cognitive potential. manuel cebral, Proudly powered by WordPress.